Let’s talk about the importance of website design and online customer community design for your business. First, let’s imagine that you have a main website which represents your brand. It has a main page, a list of your products or services, a picture gallery and a contact page. It’s a typical website for doing business online – it can be done well, it can work well and be fully fit for purpose. According to modern marketing trends, the second website has to be identical in design to your main website. If your customers would like to ask a question or find an answer in your FAQs, they go to your online customer community website. This transfer from one site to another has to be as seamless as possible. It’s really essential to have an online customer community theme that’s similar to your main website theme (which must look visually stunning too). Otherwise, your support community will look cheap to new visitors and will spoil your positive company image at a critical point. The perfect situation is when these two websites are identical – your customers won’t even notice when they were redirected to another website. A well-designed theme is essential, but you also need your online community to be as functional as possible. Salesforce provides three templates for online customer communities with basic functionality for customer service. The Napili template has the richest set of features (but bear in mind that it is limited in some aspects). To demonstrate your attention to customer care, make sure you use the resources of the Salesforce online community to the full. These templates and resources will allow your customers to express their opinions or find the answers they need quickly with the help of the easy-to-use interface in the self-service community. 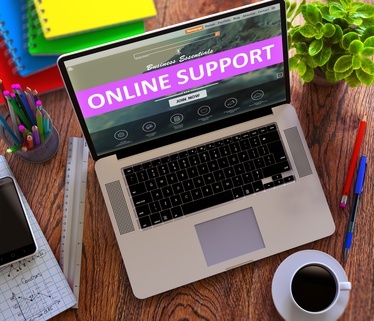 If you have successfully combined excellence in web design and rich functionality within your online customer community – consider yourself an outstanding customer support provider! Good luck!